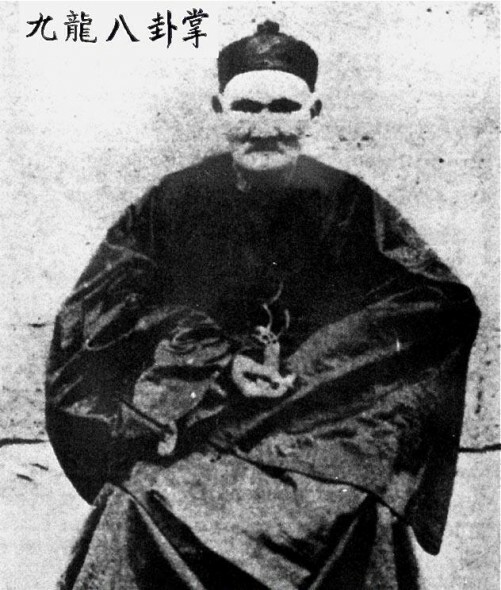 Mr. Li Qing Yun (1677–1933) died at the age of 256 years old. He had 24 wives, and lived through nine emperors in the Qing Dynasty. According to legend, Mr. Li Qing Yun (1677–1933) was a Chinese medicine physician, herbal expert, qigong master, and tactical consultant. He was said to have lived through nine emperors in the Qing Dynasty to be 256 years old. Mr. Li is said to have had quite unusual habits in his daily living. He did not drink hard liquor or smoke and ate his meals at regular times. He was a vegetarian and frequently drank wolfberry (also known as goji berry) tea. He slept early and got up early. When he had time, he sat up straight with his eyes closed and hands in his lap, at times not moving at all for a few hours. In his spare time, Li played cards, managing to lose enough money every time for his opponent’s meals for that day. Because of his generosity and levelheaded demeanor, everyone liked to be with him. Mr. Li spent his whole life studying Chinese herbs and discovering the secrets of longevity, traveling through provinces of China and as far as Thailand to gather herbs and treat illnesses. While it is unclear whether Li actually lived as long as is believed, what little we know of his habits fit with modern science’s findings about longevity. Dan Buettner, author of “The Blue Zones: Lessons for Living Longer From the People Who’ve Lived the Longest,” researches the science of longevity. In his book and in a 2009 TED talk, he examined the lifestyle habits of four geographically distinct populations around the world. According to Buettner’s research, all blue-zone groups eat a vegetable-based diet. The group of Adventists in Loma Linda, California, eat plenty of legumes and greens as mentioned in the Bible. Herders living the in the highlands of Sardinia eat an unleavened whole grain bread, cheese from grass-fed animals, and a special wine. Buettner found that low-calorie diets help in extending life, as demonstrated by a group of healthy elderly Okinawans who practice a Confucian rule of stopping eating when one is 80 percent full. Perhaps Li’s wolfberry tea played a crucial part in his health. After hearing Li’s story, medical researchers from Britain and France conducted an in-depth study of wolfberry and found that it contains an unknown vitamin called “Vitamin X,” also known as the “beauty vitamin.” Their experiments confirmed that wolfberry inhibits the accumulation of fat and promotes new liver cells, lowers blood glucose and cholesterol, and so on. Wolfberry performs a role of rejuvenation: It activates the brain cells and endocrine glands; enhances the secretion of hormones; and removes toxins accumulated in the blood, which can help maintain a normal function of body tissues and organs. Researchers have found numerous benefits to regular meditation. Neuroscientists at the University of Massachusetts Medical School asked two groups of stressed-out high-tech employees to either meditate over eight weeks or live as they normally do. Meditation also reduces brain shrinkage due to aging and enhances mood. Aside from meditation, Buettner found that regularly scheduled downtime undoes inflammation, which is a reaction to stress. The Adventists in California strictly adhere to their 24-hour Sabbath and spend the time reflecting, praying, and enjoying their social circles. Buettner also found that community is a huge factor in the longevity of blue-zone groups. Typical Okinawans have many close friends, with whom they share everything. Sardinian highlanders have a reverence for the elderly not found in modern Western societies. The Adventists put family first. A sense of belonging and having healthy friends and family encourage the individual to live healthily as well. In “Outliers,” Malcolm Gladwell examined a group of Italians called the Rosetans, who migrated to an area west of Bangor, Pennsylvania. Across the board, they had lower incidents of heart disease and generally lived long, healthy lives. After experiments, it was determined that their secret was not genetics or even diet (41 percent of their diet came from fat). In his travels, Buettner came across a common theme among blue-zone groups: None of them had the concept of retirement. As it turns out, to keep going makes it easier to keep going. Purposeful living into the sunset years is a mantra to the Okinawans and Sardinians. In those groups, Buettner met centenarian men and women who continued to climb hills, build fences, fish, and care for great-great-great-great grandchildren. Interestingly, none of these centenarians exercise purposely as we Westerners who go to the gym do. “They simply live active lives that warrant physical activity,” Buettner said. They all walk, cook, and do chores manually, and many of them garden.